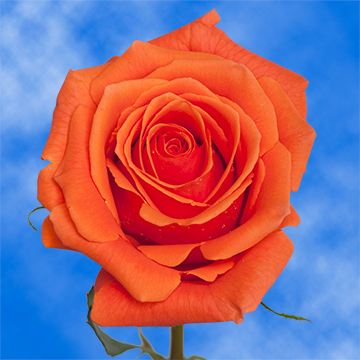 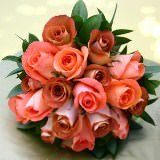 Enjoy these Vibrant Orange Romantic Bridal Rose Bouquet and have the bright beauty of the blooms on your special day! 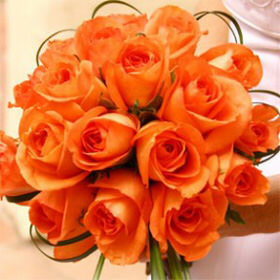 This gorgeous and stylish bridal bouquet has 19 stems of orange roses, and 15 lily grass. 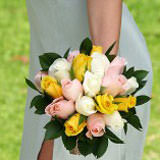 The bridal bouquet is 18" long. 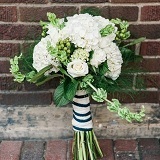 The stems are wrapped with ribbon. 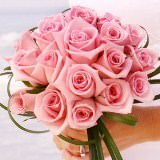 In all wedding/or special occasion flowers we recommend your delivery date to be two or three days before your event and to order at least 10 days before the delivery date. 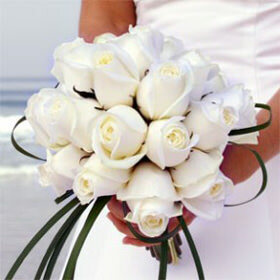 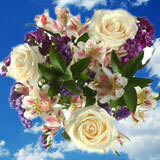 Your wedding flowers and wedding roses are shipped absolutely fresh, direct from the greenhouses to you via FedEx.